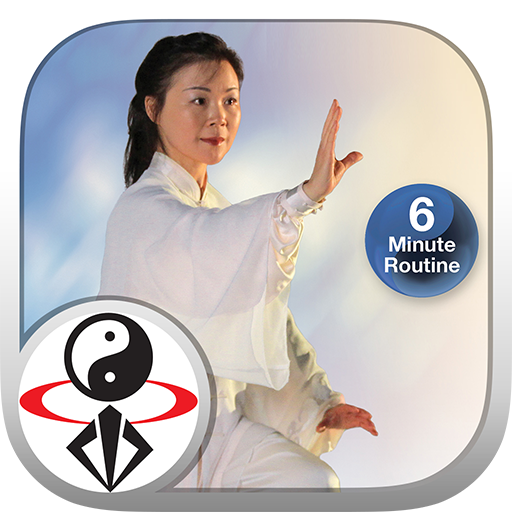 Learn the most popular 6-minute Tai Chi form for beginners, taught clearly from multiple angles, with step-by-step instructions by Master Helen. Learn quickly with streaming video lessons. Simplified Tai Chi 24 for Beginners DVD is the perfect way to experience the amazing health benefits of a shortened tai chi form, no matter your current fitness level. The ancient art of tai chi is often described as "moving meditation" because it stimulates your mind, body, and spirit. With this 6-minute tai chi form, you'll feel stronger and more energized. Tai chi is known for improving balance and keeping the mind sharp and positive. This tai chi form is excellent for beginners at any age, those who want a low-impact whole-body exercise, and those with limited time. The short forms are based upon traditional Yang-style Tai Chi movements, which have roots in the ancient Chinese martial arts. "Taiji Chang Quan" existed in many variations, and eventually evolved into Taijiquan. Other forms of the same era such as "Heavenly-Inborn Style", "Nine Small Heavens", and "Acquired Kung Fu" also show similarities to what later became Taijiquan. The principles of softness, sticking, adhering, and using the opponent's own momentum against himself were established in these precursory martial styles. Bodhidharma's teaching at the Buddhist Shaolin Temple around 550AD, which detailed the theory of using the mind to lead the Qi to energize the physical body, is widely considered the origin of all Internal Martial Arts, including Tai Chi. Helen Liang is a gold medal winning grandchampion martial artist, and daughter of a true martial arts legend. Grandmaster Liang, Shou-Yu's martial arts ancestry originated five generations ago. He started his traditional Emei kungfu and Qigong training with his grandfather in 1948. Grandmaster Liang then sought out other renowned masters and other styles from Shaolin and Wudang. In the early sixties, Grandmaster Liang began his study and research in the few major styles of Taiji such as Yang, Chen, Sun, and Wu style, Buddhist Esoteric Qigong, and Taoist Qigong. Grandmaster Liang has many times been a gold medalist in Wushu and Taiji competitions held in Sichuan province. The Liang family lives and teaches in Vancouver, Canada.